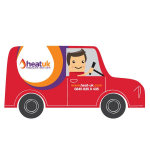 Need a new boiler in North Shields? Get FREE no-obligation quotes now! Family run business in the heart of South Shields. Competetive rates, great advice and brilliant 1st fix record on repairs. Current Boiler: Baxi 105e. 10 years old and faulty. Located in the kitchen, keep in the same place. Replace within 1 month. Contact: anytime. Gas boiler service required please. Current boiler: Baxi combi HE Age 10 years old. Located in the kitchen. Timescale Within 1 month. Contact anytime. Intermittent problem with hot water. Sometimes water does not heat up. Becoming more regular. Current Boiler: back boiler. 17 years old. Working. Located in the lounge, would like to move. Replace 6 radiators. Replace ASAP. Contact anytime. Current Boiler: Baxi 30 HE. 9 years old, not working. Located in the bathroom, keep in same place. Replace ASAP. Contact anytime. Appointments anytime. I am after a new baxi combi boiler to replace our old one and also new replacement radiators all depending on price and quotes ?.. Boiler repair to be done ASAP. Current back boler over 20 years old servicing hot water and central heating throughout. require quotation to update the bolier and possible relocate.